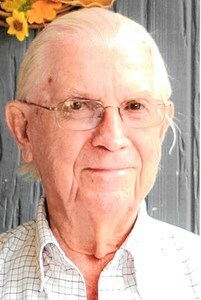 C. Elwood Johnson, age 93, of Ocean View, Delaware and Titusville, Florida passed away peacefully surrounded by his family November 1, 2018. Formerly of New Castle, Delaware, Elwood was born on November 16, 1924 to Bob and Amy (Gray) Johnson in Lincoln University, Pennsylvania. He attended the 75th anniversary of the Battle of Gettysburg in 1938. Where he witnessed Franklin Delano Roosevelt light the eternal flame. As a young man, Elwood worked as a fast order cook on the boardwalk in Ocean City Maryland. Upon his graduation in 1942 from Oxford High School, Elwood enlisted in the Navy serving on board the Hospital Ship USS Relief and the minesweeper USS YMS 260 as a Pharmacist Mate First Class in the South Pacific, during WWII. After the service, Elwood spent his career as a purchasing agent for General Motors Boxwood Road Plant in Wilmington, Delaware. He also made time to operate Hindsight Antiques with his mother. During his time, wintering in Titusville, Florida; Elwood enjoyed his family and friends, crossword puzzles, fishing, shuffleboard, antiquing and jewelry making. He was preceded in death by his parents Bob and Amy, a sister Doris Lawrence, a son Robert and his loving wife of 63 years Gaylen R. Johnson. He is survived by his children Jo Anna and Bob Higgins of Newark, Delaware; Philip of Ocean View, Delaware ; David and Debbie of Middletown, Delaware. He will also be remembered by his five grandchildren and seven great grandchildren. Very special thanks to our dear friend Jane Donivan for her help during this difficult time for our family. We would also like a special thanks to St. Francis Hospice for the Veterans pinning ceremony. Add your memories to the guest book of C. Johnson. Rest easy Uncle Elwood. You will be truly missed and are deeply loved. My love, prayers and thoughts go out to Phillip and Aunt Gaylen on this sad day as we lay Uncle Elwood to rest. Love you all. My condolences go out to the Johnson family. Although I did not know “Doc” personally, I understand the pain of losing a loved one. It is my hope that you may find a measure of peace and comfort by reflecting on the beautiful resurrection hope found at John 5:28,29. My warmest condolences and expressions of sorrow to the Johnson family for the loss of your dear Doc. May the word of God and the good memories you shared bring comfort, peace and a hope for the future. I became acquainted with Doc Johnson through his son Phil in 2012 after Doc had been reading my Civil War Profiles column in the Coastal Point newspaper published in Ocean View, DE. When I visited Doc and Phil at their home here in Delaware, Doc told me about his great grandfather who had served in the Union army during the Civil War, and showed me a number of artifacts including his sword, musket, and other military-related items. I wrote an article about Doc and his ancestor that was published in the Coastal Point on February 17, 2012, and I included that article in a book I later published titled "Essays on Delaware during the Civil War: A Political, Military, and Social Perspective." Doc and I have stayed in touch over the past few years. May he rest in peace. I held Uncle Elwood to a high esteem he was a great man to me and all of us nieces and nephews and our kids. I have always cherished our time together and visits, Fishing, boating etc. I enlisted in the NAVY because you did!! I will miss him deeply and so will we all. Uncle Elwood we love you and we will miss you. God Bless you. Rest in peace Poppop. The boys and I will miss you. Tell Mommom I miss her when you see her. Love you, Rob, Angela, Hayden and Brennan. Phil, I am sorry for your loss. He must have been a wonderful guy because I know what a great son he raised.